This spectacular tour will take you off the beaten track, and past public barriers on a once in a lifetime adventure into the Glacier Valley. You’ll pass through luscious native bush and past magical hidden waterfalls as we make out way to the base of this breathtaking ancient glacier. Your friendly and experienced guide will give a fascinating commentary along the way about the native flora and fauna, glaciology, geology, climate change and history of this remarkable area. You’ll be absolutely captivated as you explore this glacial wonderland and learn of glaciations, geology and fascinating Maori legends of this incredibly dynamic and constantly changing environment. The Franz Josef Valley Eco tour is a family friendly activity and is accommodating to all ages and abilities. If you are looking to experience the very heart of New Zealand’s natural beauty - this is the tour for you! Child 4-15 yrs. Infants under 3 years of age can be booked free of charge as your proceed through the check out. We had a great time on the tour, in spite of the very wet weather. The guides were very knowledgeable and helpful, but more importantly, they provided us with heavy duty rain gear. The guide was engaging and provided interesting information. I'm still recounting facts to friends when I share pictures. Having the opportunity to take special detours made things more exciting than walking the public path. Honestly, I wouldn't have the same appreciation for the Franz Josef Glacier if I didn't take this tour. We embarked on our tour the day before the bridge collapse and even with the heavy rainfall had a great time. The guide (Lisa) was fun and knowledgable. She kept us safe and excited the whole time. There were tons of water falls and a couple glimpses of the glacier through the clouds. Would definitely recommend. Great thanks for your review!! 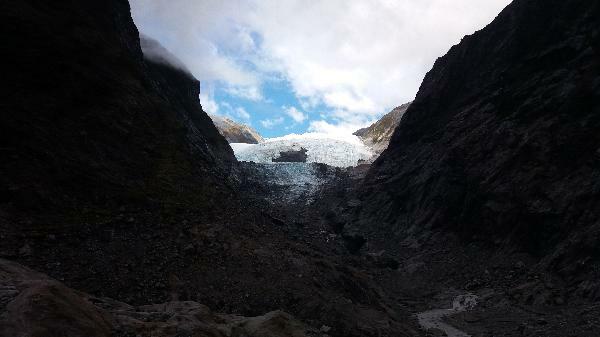 Your message has been sent to Franz Josef Glacier Valley Eco Tour . You should hear from them shortly. Please note: all responses will come directly from Franz Josef Glacier Valley Eco Tour , and not the team at Bookme.